It is hard to imagine, but the steel mills of Pittsburgh led to the creation of Keystone State Park. The mills needed coke (partially burned coal) to make steel. To make coke, the coal companies needed to burn coal and quickly extinguish it, and so needed water, lots of water. 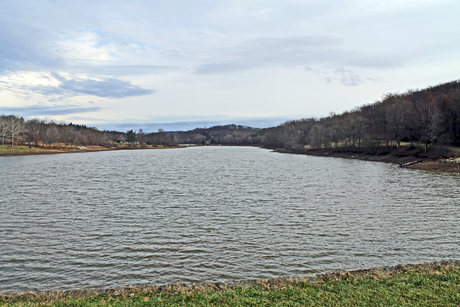 In 1909, the Keystone Coal and Coke Company purchased land at the meeting of McClure and Davis runs to build a lake that would supply water for washing bituminous coal and to quench the coke from their coke ovens at Salem Mine One. The water from Keystone Lake flowed, gravity fed, through two miles of wooden pipes to the mine. One of those pipes is currently on display in the James A. Kell Visitor Center. Executives of the company used Keystone Lake for fishing, swimming and boating. Stories abound about local residents who used the lake for recreation, too, although with a wary eye out for the authorities who might chase them away for trespassing. The company built a stone lodge to be a meeting place for business, and as a hunting lodge. Executives were allotted the lodge for one week a year for family vacations. Now called the James A. Kell Visitor Center, the lodge houses mining artifacts and historical exhibits. 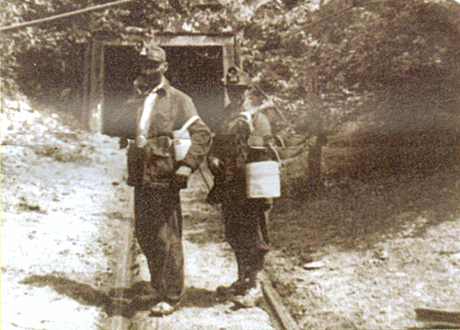 In 1938, Keystone Coal and Coke Company began Salem Two Mine. The coal vein was between two and four feet thick, forcing the miners to work on their hands and knees. Because the mine plunged horizontally into a hillside, it was a drift mine. Salem Two Mine closed in 1953. Keen-eyed visitors can still see the sealed mine entrance, which is east of Picnic Pavilion Two and north of the cabin entrance road. The ground underneath Hillside Campground and the cabin colony is honeycombed with miles of tunnels. A fascinating map of these tunnels is on display in the visitor center. In 1945, the Pennsylvania Bureau of State Parks acquired the lake, lodge and surrounding land, and later the land by Salem Mine Two, from Keystone Coal and Coke Company, which is reflected in the park’s name. When visiting the tranquil forests, fields and lake, remember that Keystone State Park was born of the fires and noise of steel mills. The history doesn’t end there – Keystone State Park keeps changing to meet the needs of our visitors. Please check out our Photo Album for pictures of our camping facilities, and the Events to see what is happening! Join or donate to the best darned friends group in Pennsylvania Individual membership: $10. Family membership: $15. Donations are always welcome!